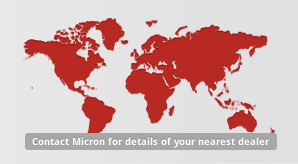 Micron Tank System 100L can be used with the complete range of Micron shielded CDA and high flow equipment. 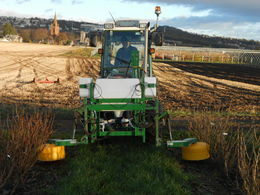 Intelligent attachment positioning allows machinery to be set up to suit individual operations, mounted front or rear. The modular design does not require the use of a PTO or hydraulics, just a single 12 volt (3 amp) electrical supply reducing operator risk of injury. 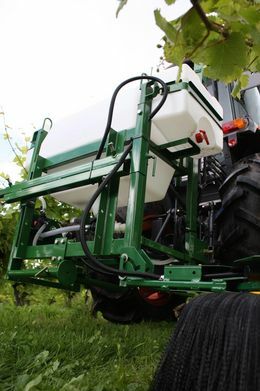 When used with CDA low volume machinery, the Tank System 100L can further increase productivity through reducing filling time which means more time can be spent spraying. is as simple as turning a tap, with ample supply to thoroughly cleanse the main tank and any connected machinery of chemicals. 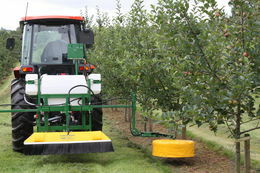 The pumping system contains the features that would be expected of any professional sprayer. 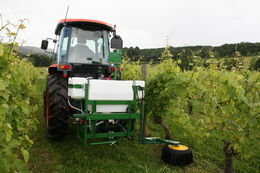 All fluids are filtered and an agitation system ensures complete chemical mixing before spraying.